More drama kept on unfolding on the Army officer from Assam, Leetul Gogoi’s ‘outing’ with a Kashmiri girl in Jammu and Kashmir. In a an interesting twist to the tale, the girl in question, allegedly a minor who is yet to attain 18 years, testified before the magistrate that the controversial Army officer from Assam was her ‘Facebook friend’ and that she has gone out ‘one her own free will’ to spend some time with the Army officer in a hotel, according to a Times of India report. She further testified that she and Leetul Gogoi have been moving around for quite some time with frequent ‘outings’ now and then. However, the girl’s mother had a different story to narrate refuting the claims of her daughter, according to the TOI report. Gogoi had invited widespread condemnation for tying up a local youth of Kashmir as a human shield on the bonnet of his jeep and paraded into areas full of protestors ready to pelt stones. Now he is again in the thick of controversy, after he was involved in an ugly brawl with the hotel staff where he had checked in with the minor girl a couple of days back. Major Gogoi was questioned at a police station on Wednesday after an altercation broke out with the staff of the hotel. 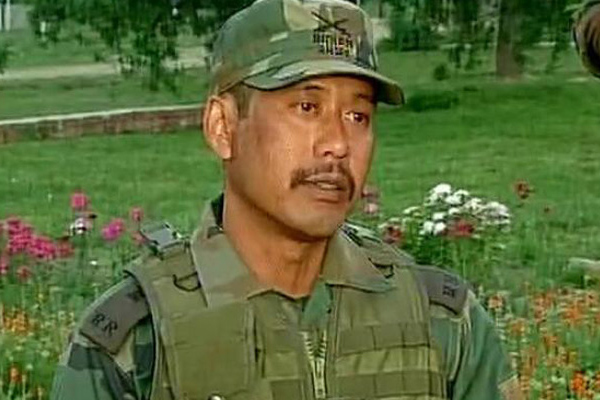 Later on Friday, the Army had ordered a court of Inquiry against Major Leetul Gogoi. Earlier, the mother of the girl in question claimed Gogoi had ‘raided’ their house at night time on two occasions and on both the occasions, he was accompanied by Sameer Ahmed, the man who was with them at the lodge. Police sources stated Sameer Ahmed too was an Army personnel.